By MrSydasien in NSAN NÈWS on 30 March, 2019 . 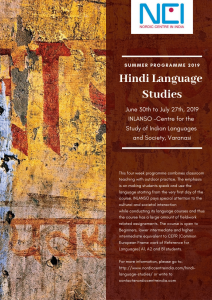 As one of its summer programmes, the Nordic Centre in India university consortium (NCI) organises a Hindi Language Programme in collaboration with the Centre for the Study of Indian Languages and Society (INLANSO) in Varanasi, from 30 June to 27 July 2019. This is a four-week-long intensive summer Hindi language course for students at A1, A2 and B1 levels of Hindi. 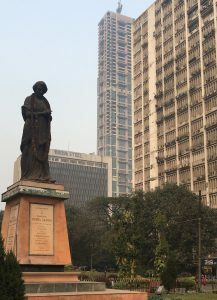 The language programme focuses on the principle of combining classroom knowledge with outdoor practice with an emphasis on making students speak and use Hindi starting from the very first day of study. Special attention is paid to cultural and societal interactions so that students get the context of the language they are learning to speak. More information about all the 2019 NCI summer programmes.